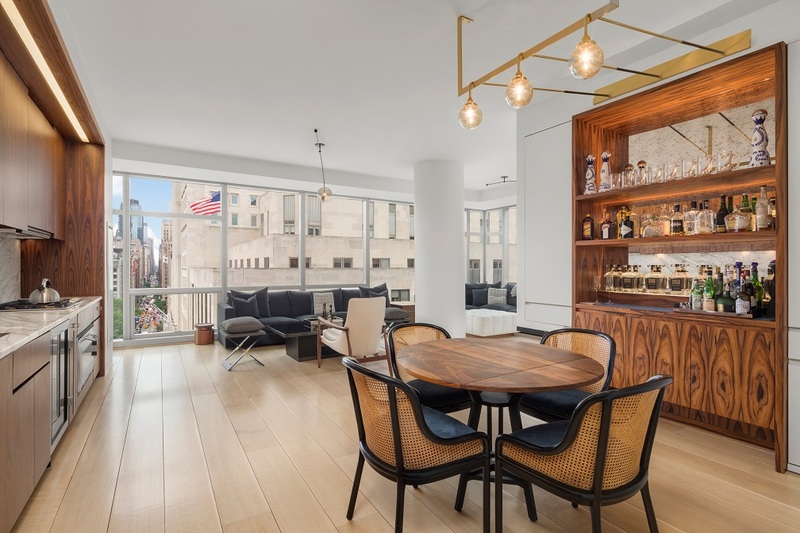 Description: This sleek and contemporary aerie offers expansive space for entertaining and gracious living in addition to breathtaking panoramic views of the Hudson River, City Skyline, & Central Park. The apartment has undergone a masterful renovation using the finest finishes available and features 5 bedrooms, 4.5 bathrooms, a soundproofed media room, ample closet space, and a full home automation system. 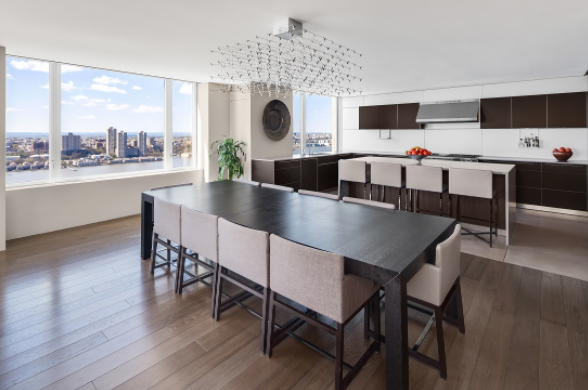 Glamorously entertain in the lavish living and dining rooms that flow seamlessly into the customized Bulthaup kitchen outfitted with top-of-the-line appliances. For a more private retreat, a serene master suite has been created to maximize the Skyline and Park views and includes a home office, custom dressing room and spa-like bathroom with gorgeous views. 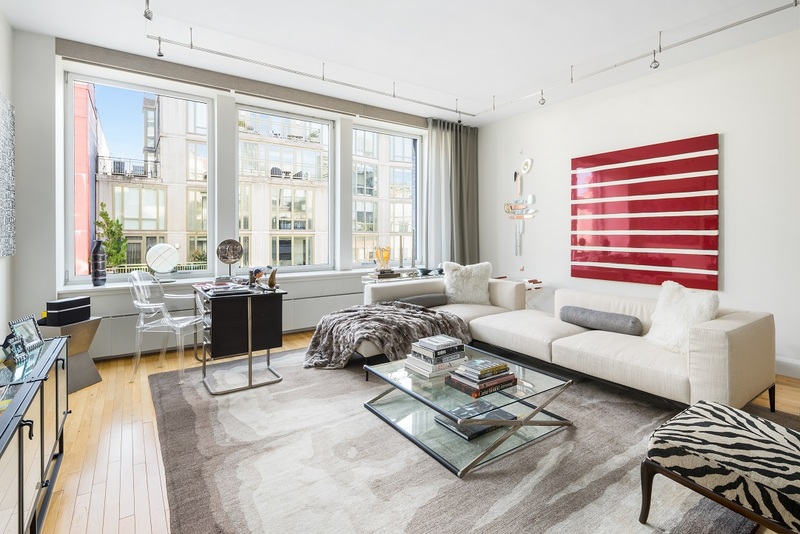 220 Riverside Boulevard is a premier Upper West Side condo with an amazing location convenient to Riverside Park, Lincoln Center, & Central Park. Five-star building amenities include 24-hour white glove doorman, garage in the building with private elevator access, 12,500 sq ft health club with a large swimming pool/hot tub, private large internal courtyard, formal party room, bike room, billiard’s room, extra storage and a children’s play room.